Writing is hard work. Whether your child has trouble forming thoughts into words or spelling those words correctly, writing challenges can frustrate kids. Issues such as complex learning differences or simple disinterest can keep children from loving to write. However, unlike children who hate, say, basketball or singing, kids who dislike writing could face repurcussions, because writing is a crucial skill. We must help children through their reluctance. As a writing teacher, I want to see kids grow up to be confident, competent and yes, even joyful users of the written word. It can happen! I have seen reluctance turn to enthusiasm time after time. While writing holds many challenges, it is also the route to share stories, crack jokes, express angsty teenage thoughts, tell secrets, play, convince people to do things, and make up crazy lies — types of communication and play that most of us find very satisfying. All of these things can be doors into a love of writing. Here are some ways you can help a child overcome his or her reluctance to writing. Sometimes children think they should only do things that come easily to them. Praising children for their results can reinforce the idea that hard work is a sign of being bad at things. Writing is hard, and it is harder for some children than others, and that is OK. No one needs to be good (or quick) at everything. We can help children become more confident writers by acknowledging their hard work, and even by expecting it. If we ask children to do something hard we should make it matter enough that it is worth the work. Writing birthday cards, secret notes, diaries, letters to the president, captions to pictures, or persuasive arguments on why they should get a pony for their birthday matter in a way that worksheets never will. Give children nice paper to write on sometimes. Let them write their own thoughts in their own words. Help them find the relevance in their assignments — and if there is none, consider discussing this with their teacher. Bananagrams: The popular anagramming game. Reluctant writers often prefer to simply play with the tiles rather than playing competitively. No harm there! Boggle: A classic for a reason. Again, reluctant writers might enjoy finding words cooperatively more than playing competitively. Madlibs: Crazy enough to be fun for everyone. 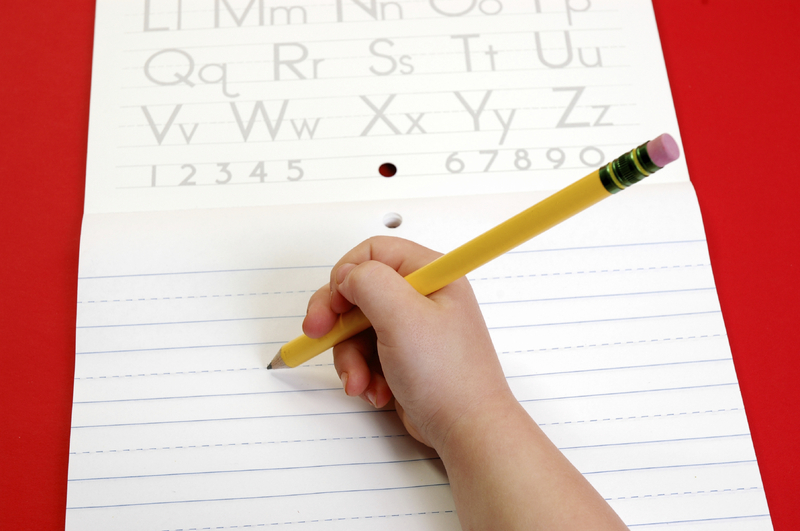 With a little coaching, kids often enjoy writing their own from scratch as well. Some of the best word games for reluctant writers are pen and paper games, which have less focus on competition and more on wackiness. Some great ones are The Picture/Caption Game, Exquisite Corpse, The List Game, and Three Minute Poetry. Many children get writer’s block because they are afraid of making mistakes. Spelling and grammar matter, but only as a way to help us communicate thoughts. Focus on the expression, and leave mechanics for the revision process. Inventive spelling liberates children to use their whole speaking vocabularies in their writing. Encourage children who are worried about spelling to write down their whole thought in their best-guess spelling and check the spelling afterward. When you read children’s writing, engage with their ideas first and offer mechanical suggestions only second. Writing well isn’t about getting things right the first time. Your child’s favorite book went through many, many drafts to become so awesome. Encourage your children to revise their important work as well. Focus on revision as a refinement more than a correction. It’s all a learning process, and most of the important writing of their life will allow for revision and spellcheck. English spelling is weird, and semi arbitrary. There are many ways to write down each sound. When correcting children’s spelling, notice the reasoning behind their incorrect guesses. Help them problem solve other possibilities. This way, spelling becomes a puzzle instead of a test. Model looking up the spelling of words you aren’t sure about. Teach children how to use dictionaries (and Google) to answer spelling questions. Different brains learn in different ways. Helping your child understand how they learn helps them learn better and helps you expect useful things out of them. Some children learn best when they are talking or jumping. Some have to see things written down. Some need quiet. Some need noise. Some start with scattered notes. Some begin at the beginning and proceed logically. All of this is fine, unless we expect children to learn in ways they don’t. Brains learn well when they are having fun. And language is fun. Playing word games and just playing around with language can be a great way for reluctant writers to learn. Make bad puns. Collect homophones. Give alliterative nicknames. Make up silly rhymes. Play word-nerd board games and parlor games. Focus on speed and fun more than accuracy — this can lift off the pressure for reluctant writers and get their pencils moving faster than they usually let themselves write. Stories are crucially important to children’s writing, vocabulary, thinking skills, and understanding of themselves as human beings. However, so much of this can be learned orally. Oral storytelling, reading aloud, and audio books are all great ways for children to absorb language and literature. Talking about what you read can help develop the analyzing and summarizing skills children need to write well. Ask open-ended questions instead of fishing for answers. Ask them what they think, how they felt, what things reminded them of, etc. Point out your own observations. Children all learn at their own pace in their own way. Writing might not ever be easy for your child, but that is OK. As Thomas Mann said, “A writer is somebody for whom writing is more difficult than it is for other people.” And he should know: he was one. Becca Hall is the director of Frog Hollow School, a writing program for homeschoolers with classes in Seattle and Carnation. She holds degrees from the University of Montana and Stanford University, and lives in Seattle with her fiancé and their dog. She is currently writing a novel set in Seattle in the 1920's, and blogs about education at the Frog Hollow blog.